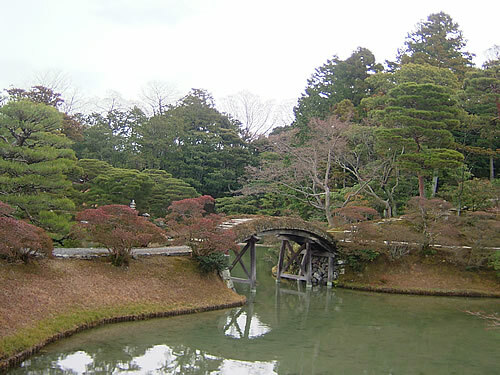 From Sotokoshikake to Shokin-Tei, the teahouse you walk with the panoramic view of Katsura Imperial Villa in your sight. 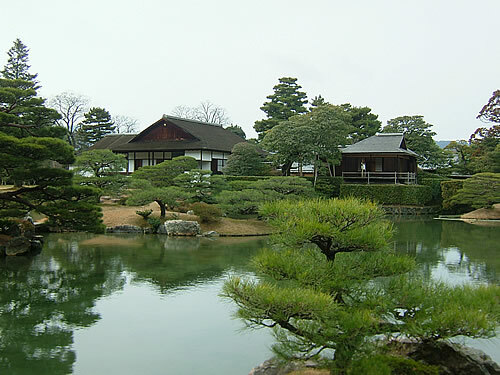 As you get around Suhama you will see the panoramic view of the palace in front of your eyes. 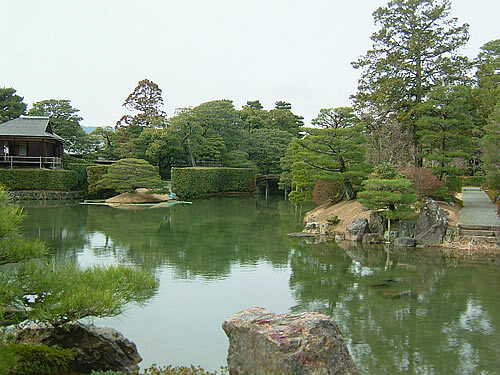 Greenery reflects against the perfectly clear pond. The all trees are treated very carefully and it has sense of vulnerability. They give full attention and launch bamboo on the pond so reeves and branches should not fly off when they cut them. They follow the traditional way and launch bamboo on the pond. I thought it was very elegant. 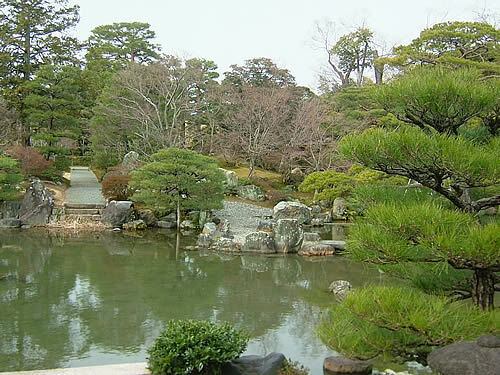 It is a pretty Japanese garden, isn't it? Houses with a garden are becoming less and less these days. There is nothing I can do with it considering cost of maintainance is getting more and more expensive but it makes me a little bit sad. It is a bridge called "Dobashi". They put a board on poles and fix the board with soil on the both edges.